Will I stop reviewing whiskies ? But it’s not all black and white either, and if you try to open your mind just a little bit… You’ll see auctions also have their plus sides for whisky drinkers and lovers ! Those 3 auction users cohabiting creates a very strong market, hence why whisky auctions have been thrilling since a few years. Yes, “bottle flippers” and the rise of popularity of whisky investment (not a week passes without a new press article about how to invest in whisky etc.) DO participate in the recent surge in whisky prices – we won’t get back on this. In the meantime, online whisky auctions allow a global audience to access their dream bottles, there’s no geographical discrimination, the “UK only” or “Japan Exclusive releases” are made available to people from Australia, India, Sweden or Brasil – because hey, why wouldn’t they be allowed to taste those whiskies as well? As scarcity makes the value, of course they’ll end up paying more than the initial price to get those but nobody’s holding a knife under their throat urging them to click on the “add bid” button hm? It’s more than interesting for any whisky amateur to compare juices from the 1970s/1980s to modern-style whiskies, and I do believe this is must-do for anybody who’s into whisky. Are whisky auction users the bad guys? I receive so many messages regarding whisky investment and auctions – which bottles to buy at the moment for the best ROI in coming years? Are A-rated distilleries safer than independent bottlings? My point is, stop thinking all whisky auction sellers are scumbags who only want to take financial advantage of gullibe consumers. Ok, sellers can make good money at auctions, but then, what’s in it for the buyer beside crazy expensive bottles? Auctions are an endless goldmine for whisky discovery, way better than your high-street wine & spirits shop! I can’t even count the liquids I discovered through auctions, from mothballed distilleries I had never heard of to obscure blended whiskies from the 1980s. 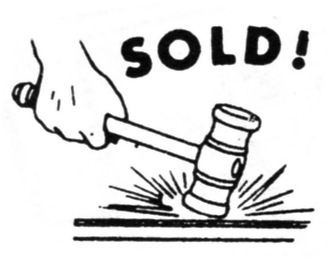 I truly believe that if used properly, auctions are a very good education tool. In the end, it’s all about HOW you decide to use whisky auctions, as a seller or as a buyer. Of course some will be there for the bad reasons but more than you think share the same passion and enthusiasm as you. Try to see further than the tip of your nose. No, good whisky isn’t too expensive !